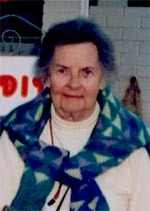 Janet Spence was a major figure in American psychology. At the broadest level, her work focused on the interplay of motivational and individual differences in determining performance in both laboratory and real-life situations. After her early fundamental contributions to work on the role of anxiety in learning and performance and the influence of material incentives on intrinsic motivation, she turned her attention to gender. Sexism and stereotypes in modern society: The gender science of Janet Taylor Spence (1999) well reflects her major influences on the field of gender science. Spence’s work changed how we think about gender. Spence’s work also inspired and guided several generations of researchers, including recipients of prestigious awards that recognize significant scientific contributions to science. At the time Spence initiated her studies of gender in the late 1960s, conceptions of gender and gender differences held both by serious scholars and the general public were dominated by a single model that was rooted in biologically based conceptions of gender. Spence and her colleagues successfully challenged these conceptions through a rigorous and thoughtful research program that, piece-by-piece, successfully disentangled crucial theoretical distinctions among various aspects of gender phenomena. Spence first studied attitudes toward women and the concepts of masculinity and femininity. Like her earlier work on motivation, this research was concerned with masculinity and femininity aspersonality variables (rather than role variables) and how these personality variables were related to achievement motivation and behavior. During the 1970s she developed several widely used psychological measures that were to become standard instruments in the field, such as the Personal Attributes Questionnaire (PAQ) and the Attitudes Toward Women Scale (AWS). Her finding that masculinity and femininity are separate, unipolar dimensions rather than opposite ends of a bipolar trait remains as the authoritative finding on this topic. Spence’s theoretical and empirical analyses on motivational aspects of anxiety and achievement and in the complex area of gender science are remarkable and enduring scientific contributions to psychology. Her sustained contributions to the scientific literature for over 40 years, and the numerous citations of her work, clearly indicate a gifted, influential, and prolific scientist deserving of recognition. * The FABBS Foundation would like to thank Dr. Fiske, Dr. Gilbert, Dr. Langlois, and Dr. Swann for nominating Dr. Spence for this honor and for leading the effort to spread the word about her nomination. Would you like to honor Dr. Spence? It’s not too late to have your name added to the list of donors! You can make your donation to Dr. Spence’s In Honor Of… campaign at anytime.